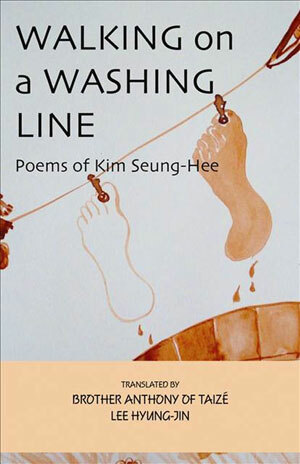 In the preface to Walking on a Washing Line, translator Brother Anthony of Taizé explains that the poems of South Korean poet Kim Seung-Hee, for all their surrealism, exhibit "a strong thematic unity that often springs from a deep compassion." Indeed, after reading this collection, it will be clear that Kim enacts in her work a sort of witness, using her poems not only to draw attention to the suffering of others, but also to explore our culpability in the face of this pain. Consequently, Kim's poems contend with social issues that trouble contemporary South Korea, such as epidemic rates of suicide and the presence of the United States military on the peninsula, while also encompassing nonlocal events such as 9/11 and the war in Afghanistan. As Kim says in the title poem of the collection, her work aims at "aestheticizing the crisis / without exaggerating the crisis." While Kim's poems cover a wide variety of topics, as an avowed feminist, she often uses her work to interrogate the social condition of women. Indeed, many of her poems will recall for the reader the poetry of second-wave feminism in their recovery and assertion of the value of women's voices. Kim's feminist consciousness is evident in the witty series of poems "Death Korean-style," which feature typical Korean obituaries where women are referenced, not by name, but only via their relation to male relatives; as Kim points out, "It should be obvious that several names are missing here." In a deft concluding line, she delivers her swift judgment of such erasure, claiming these notices read like the "romantic story of a phallic god's family." In contrast, Kim aligns herself with these marginalized women, claiming in "A Cast of Ghosts," a poem in which she intones the names of several Korean and Western heroines, "I have always felt closer to them." Certainly, readers interested in considering the methods by which women writers use their work to challenge gender oppression will find much in Kim's work to appreciate. 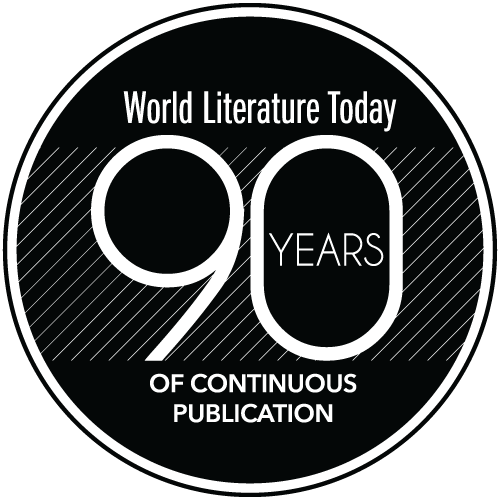 Given that many Western readers are likely unfamiliar with Korean literature and culture, Walking on a Washing Line not only offers helpful notes on the foreign references within poems, it also includes a section from an essay by Kim on the subject of Korean women's poetry, a piece that serves to situate her work within a strong tradition of writing which, as Kim describes it, represents "a radical change of direction" for Korean women. Offered in both English and the original Korean, the poems in this collection serve as a wonderful introduction to the wide-ranging work of Kim Seung-Hee, a surreal lyricist, a feminist, and a strongly social poet.